It is common knowledge that if you can’t interview well, you will lose many job opportunities. The interview is where the tires meet the pavement, figuratively speaking, so you need to make sure that you are prepared. The majority of advice regarding interviewing focuses on behavioral tips, but you also need to pay special attention to the “basics” of interviewing. Below we collected a short checklist of interview basics, that will help you to impress your potential employers and get the job offers you seek. Voicemail: Check your voicemail and make sure your greeting is professional. Be careful how and when you answer the phone – it’s better to call an interviewer back than to sound unprofessional, tired, or under‐prepared. If you have a ring‐back tone on your phone, make sure you change it to a neutral sounding ring. Email/Spam: Check your email and spam filters frequently. Many recruiters won’t make phone calls and conduct most of their business online. When & Where? Confirm the time, date, location, and expectations for the interview (dress code, length of time). Prepare:Try to anticipate what they will ask. Then practice answering the questions out loud with a friend or family member. The more you practice, the more comfortable you will become. If you’re prepared, there will be fewer awkward silences and it won’t sound like you’re reciting your responses. Research: Before you interview, make sure you conduct in‐depth research on the company and learn about their needs. Find out about their history, culture, mission, etc. and be prepared to talk about how you can contribute. Who are you? Prepare a brief introductory speech that will quickly answer the inevitable question, “Tell me about your background and experience as it relates to this position.” This is sometimes referred to as the 60‐second sell or the elevator speech. Dress to Impress: The interview is your time to shine. Always dress your best. If you are in doubt, it is always better to dress up than to not dress nicely enough. You never know who you will be interviewing with, so dress conservatively. Even if the organization has a casual dress code, you should still dress professionally. Be Early: Arrive at least 20 minutes early. Plan for traffic and unexpected delays. Make sure you print out directions so you don’t get lost. If you are running late, call the interviewer as soon as possible to give them notice. Arrive Alone: The employer wants to see you, not your friends or family. If you get a ride, have them leave you at the entrance and wait unobtrusively until you come out of the building. Polite & Courteous: Drive and behave courteously to everyone on the day of your interview. Introduce yourself in a friendly yet confident manner to the receptionist. Identify, by name, the person you wish to see, the time of your appointment, and the job for which you’re interviewing. You don’t know who the real decision makers will be, so act friendly and considerate to all personnel you meet throughout the entire process. 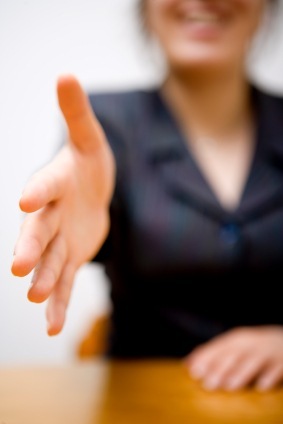 Firm Handshake: When introduced to the interviewer, smile and shake hands firmly (but not too firmly). Practice shaking hands with friends or colleagues. Greet the interviewer by name and introduce yourself. Remain standing until you are invited to sit. First impressions make a big difference in a person’s perception of you, so be sure to start on the right foot. Extra Resumes and other Related Documents: Always bring at least 6 copies of your resume, since you never know how many people will attend the interview. You always want to have a copy for yourself so that you can refer to it in your interview. Also bring a list of references (with contact information), the job description, and information about the company (for your reference), a pen, and a notebook. 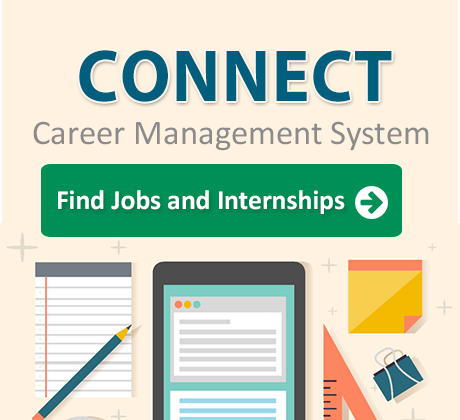 You can bring other materials as well, such as a portfolio, recommendation letters, examples of work, personal appointment book, etc.